Focusing internally as to what is occurring with the feet, ankles, and arches of the feet is something that is vastly underrated. 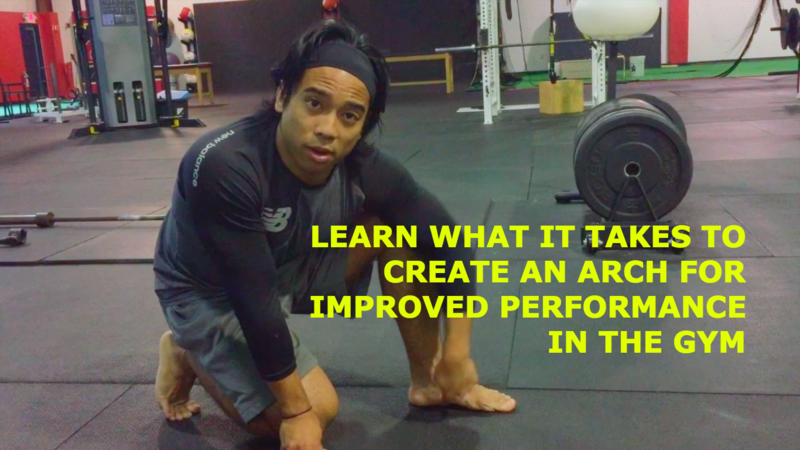 If you are aiming for stability in your squat, deadlift, and any variation of single leg movements, your ability to control your arch on an subconscious and conscious level is of the utmost importance. Of the items that I find myself coaching over and over at Cressey Sports Performance and in other facets of training, the feet is one thing that keeps on coming back as an underrated area of coaching. Of this underrated area, developing an arch is something that is still being left out of the coaching manual, despite others writing about this waaaaaay before me (see: Charlie Weingroff’s – Is the Short Foot Always So Short? and Mike Robertson’s – Mastering Tripod Foot) that is simply glossed over. 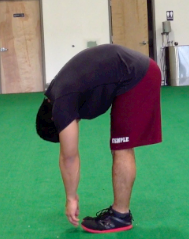 If the hips and shoulders are in a good position, then everything else is tertiary, right? Right? Read: One Weird Trick: What Do I Do With My Feet? Controlling what your feet do is analogous, to me at least, to what your head and neck do. If you just let your head flop around on a body that is theoretically moving properly, and you allow your head to sit sideways for the majority of your day, what will happen to your neck? Likewise, if you simply walk around without taking care of your feet, what will your calves, knees, hips, and lower back feel like? One entry point that I’ll use as a way to infiltrate the minds of our athletes and clients at CSP is simply ask them if they are actively using their feet in their deadlift and squats. It is a throwaway question, certainly, but when given the opportunity, it will now allow me 30 seconds of coaching on what is important, and what is not important in coaching up an arch. But I Have Flat Feet – I Don’t Have An Arch! This is admittedly one of my pet peeves when it comes to asking athletes and clients if they are actively thinking about their feet. When I hear this statement, I automatically whip my shoes off, show them I also have flat feet, and then proceed to do a backflip via the Windlass mechanism (the mechanism that allows your arch to be created). Long story short, if you create a sensation at the base of the heel, lateral aspect of the foot along the edge of the pink toe, along with sensation at the ball of the foot of the first toe (first ray/MTP/whatever else name you wanna call it), you are eliciting active control of your arches. This might be one reason why barefoot running was such in such a hullabaloo in past years, garnering attention towards the idea that natural gait was to occur without the sensation of excessively padded running shoes that have been marketed as of late, among many other reasons. Well, what can you do when you are aiming to control yourself, and your arches during your lifting program? What are some exercises that can be affected by how much control you have in your arches? As you can see the list can go on and on depending on the drills that your gym or exercise program uses. What Are Some Issues That Can Come About from Lack of Control? 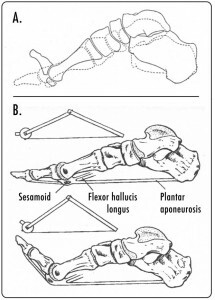 The things that can help improve sensation to an area involve either a coaching cue (such as the video above), a specific sensory integration exercise (such as massage to the posterior tibialis to allow for greater tibial internal rotation to occur, which will allow pronation to occur), or an orthotic of sorts (if absolutely necessary). If you don’t have any issues, well then you’re perfect. Go lift some heavy weights, dance, and run to your hearts desire. And finally, I’m of the belief that learning to control your arches will create a better platform with which you can now absorb force… which will elicit a better exercise output… which will elicit better adaptations for your goals! This muscle stabilizes the medial arch of the foot, and allows for greater abilities for inversion and plantarflexion to occur. If you are pushing through your medial arch too much, this muscle can be fighting for dear life, and can be overtly tight. 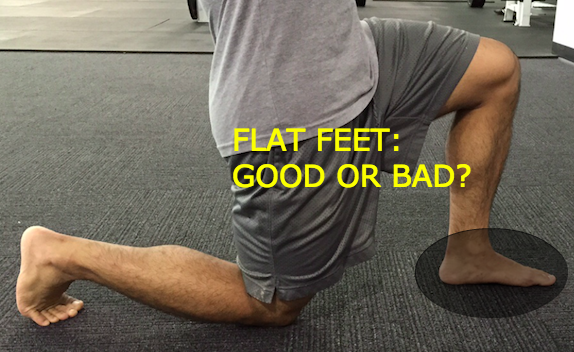 This muscle allows for your toes to extend – something that occurs if you are “faking” ankle dorsiflexion. Don’t mistake your ability for your ankle to dorsiflex (up towards your head) with your toes’ ability to extend (up towards your head). This muscle allows your first ray (big toe) to flex (and stabilize) into pronation. This muscle stabilizes, flexes, and abducts the lateral most ray (fifth toe) during gait. Granted, these super small muscles are not often focused upon in any gym setting (“Hey, fire your flexor hallicus brevis before you deadlift!”), but as a coach or trainer, you can inform your client or athlete to make sure they feel those spots intently as I shown in the above video. If you’re going to transition onto the field or court, make sure you understand what your body is doing and do a systems check before going all out. You might find yourself more aware of what your body is doing in a good way when practicing and competing, which will help you create better opportunities down the line.